When you click on any thumbnail within the collection you will be taken to an individual image page that looks like this. Under the image will be the title, the description of the photo and also some link options. 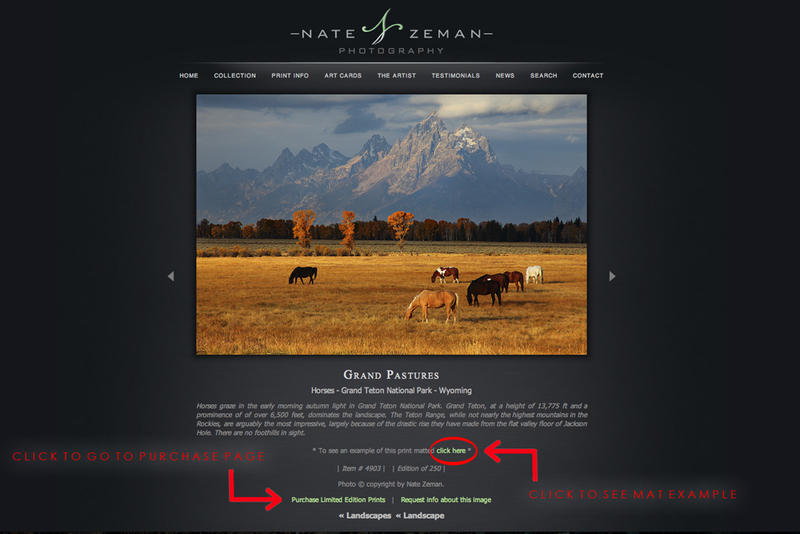 One important link is under the description, which allows you to view what each image would look like matted. Under that link, on the left is where you will find the "purchase" link, where you can choose your sizing and presentation options should you choose to purchase a print. Next to the purchase link you will also see a place to request any information you may need about any individual image.